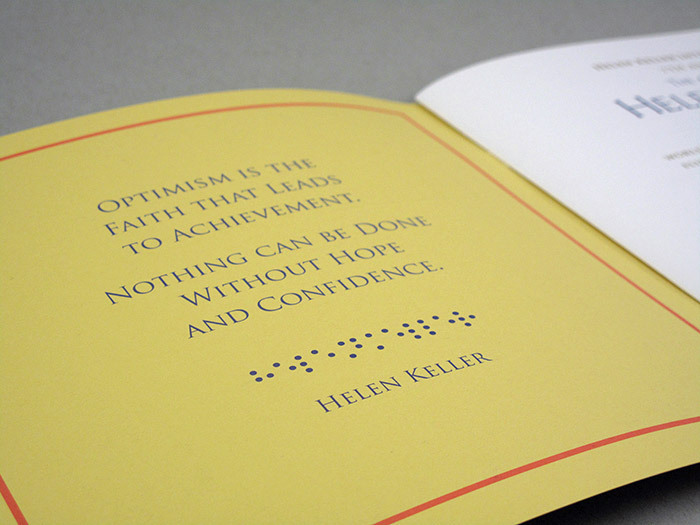 The mission of Helen Keller International is to save the sight and lives of the most vulnerable and disadvantaged. They combat the causes and consequences of blindness and malnutrition by establishing programs around the world based on evidence and research in vision, health and nutrition. Vixjo Design Inc. has worked with HKI for the last two years. 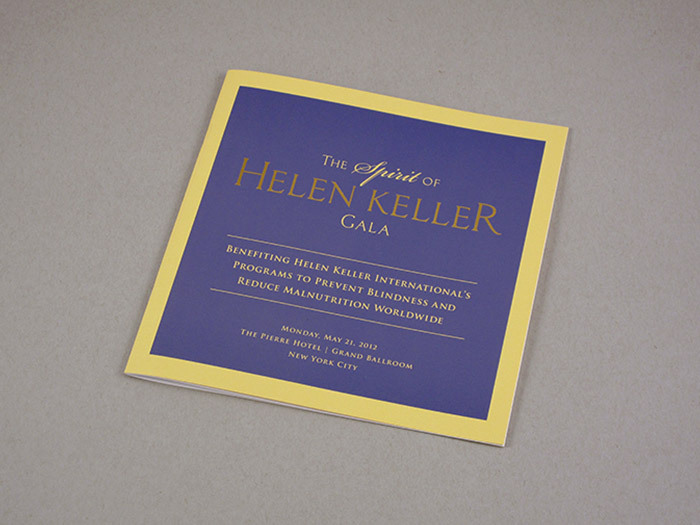 We began working with Helen Keller International when Vixjo Design, Inc. was hired to design the Invitation for the 2012 Spirit of Helen Keller Gala. Using Mohawk Via Sunflower paper for the custom envelope enclosure, invitation book, and response cards gave the invitation a beautiful and subtle spring feel, complemented by a full wash of coral that popped when opened. A gold foil logo shined on the sunflower paper. We have since designed the materials for HKI's Galas each year, with 2013 honoring Hillary Rodham Clinton, and work beginning now on 2014. 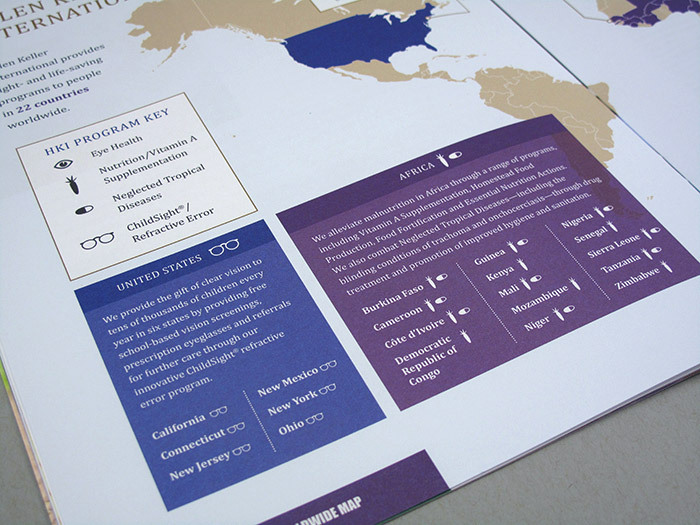 A gala program book was designed in the same style as the invitation, and sat on each attendees chair the night of the event. 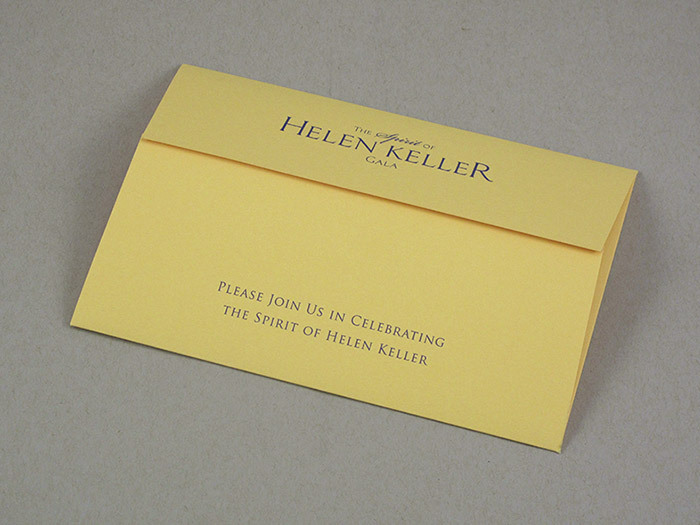 The cover featured the same gold foil Spirit of Helen Keller Gala logo, and was printed on the same Mohawk Via Sunflower. 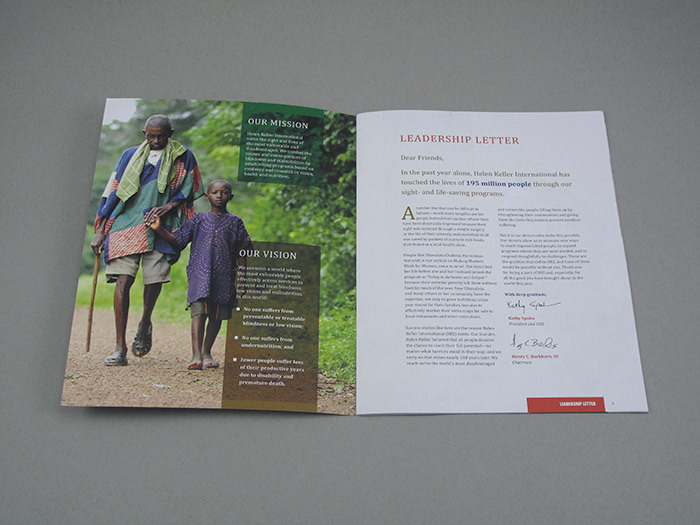 We designed the 2012 Annual Report which highlighted their work across the globe, and the donors and contributions that help make that work possible.